Marines Just Tested All-Male Squads Against Mixed-Gender Ones: Results Are In! Hold on to your hats, because the physical battle between men and women has been decided. 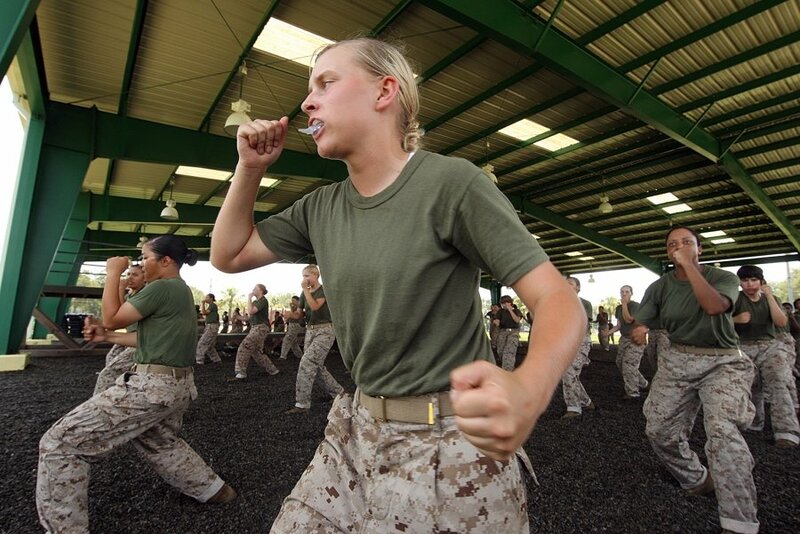 In 2013, the American Military lifted their ban on women in combat roles and it wasn’t long after that that the Marine Corps started their “unprecedented research effort” to help them understand how best to work with a mix of men and women under their care in their combat training. If I had a penny for every time I’ve heard a conservative say that they don’t care if the cop or firefighter is female, as long as she still has to carry 80 pounds of equipment up the ladder and can still pin down a drug addict in the line of duty, I’d have enough money to buy out all the half-priced candy at the grocery store down the road. Brienne of Tarth aside, it’s a rare woman that can truly match a man’s power. A year-long experiment known as the Ground Combat Element Integrated Task Force followed 400 Marine, 100 of which were female, and final reports now state that combat teams were significantly less effective overall when they included a women. All-male teams are universally faster “in each tactical movement” compared to mixed-gender teams and as for “lethality,” the all-male rifleman squads had better accuracy compared to the mixed gender squads. As it turned out, the only time it was useful to have a woman on your team in these combat training exercises was when a male had to put a female over his shoulder for a fireman’s carry during casualty evacuation exercises. Damsels in distress are a thing for a reason. Hey, I’m fine with that. I don’t have enough testosterone in my body to feel the need to be able to physically overpower everyone in the room and if I break a leg, I’m pleased to know that I would be easily removed from a dangerous situation. And it’s a good thing that women are easily carried out — because they were the ones whose groups were experiencing the highest rate of injuries. There’s probably a way to integrate female soldiers, but it just hasn’t been discovered yet. But I’d hold your breath on having them out on the front lines. Right after the ban was lifted, the news came out pretty quickly that in order to get into the Marine Corps in the first place, the standards had to be relaxed because the women couldn’t do the three pull-ups required. Hey, neither can I, but then again, I’m happier being out of harm’s way.